A man claiming to have attended a showing of the new Batman film with a loaded gun has been caught by Maine cops. 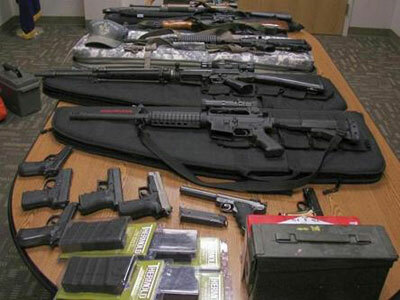 Police found handguns, boxes of ammunition and an illegal automatic weapon in his possession. Police pulled Timothy Courtois over after he was spotted speeding along a Maine turnpike at 112mph, flashing his hazard lights. Upon searching Courtois’ vehicle, police found an AK-47 assault rifle, four handguns and several boxes of ammunition. 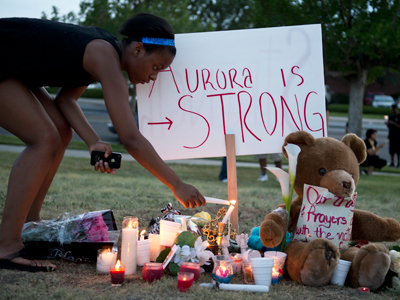 Police also found a selection of newspaper clippings pertaining to the Aurora, Colorado, cinema shooting on Thursday in which 12 people were killed. 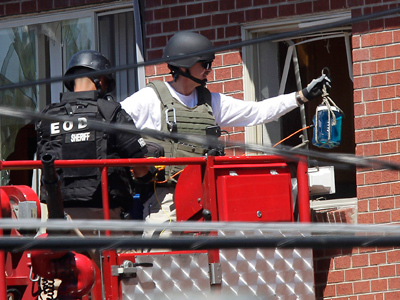 Mr. Courtois told police that he was traveling to New York, where he planned to shoot one of his former bosses. 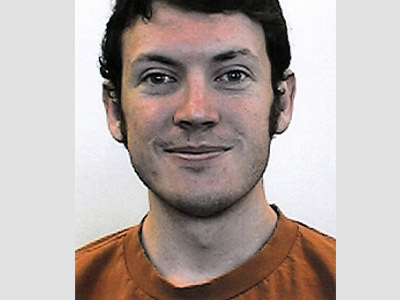 He added that he had brought a loaded gun to a screening of the new Batman film the previous night. Police are as yet unable to ascertain whether he actually saw the film. "I guess we're taking everything at face value, it's very scary," said Maine State Police Lt. Kevin Donovan. A police search of Courtois’ home revealed several additional small arms, a machine gun and thousands of rounds of ammunition. "Based on the arsenal that was confiscated, we brought in our counterparts from the FBI and ATF to assist with the investigation," said a spokesperson from the Department of Public Safety. They added that they have yet to establish Courtois’ motivation or intentions. 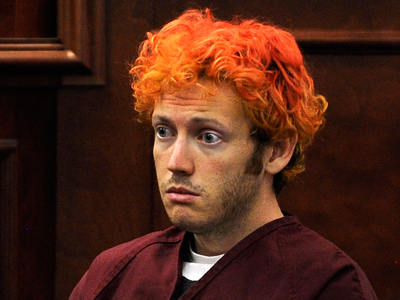 Tensions remained high at weekend screenings of the ‘The Dark Knight Rises’ in the wake of the Aurora massacre. 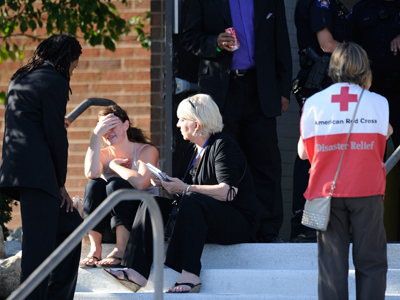 There have been several cases of people taken into custody for threatening behavior at showings of the new Batman movie. A 52-year-old cinemagoer in Southern California was arrested for complaining, “I should go off like in Colorado. Does anyone have a gun?” when the film did not start on time. Security guards suspected that the bag at the man’s feet may have contained a firearm, but police found nothing suspicious after searching the area. And 50 people fled a screening of the Batman film in Arizona after a man was tackled in the middle of the theater. The man, Michael Borboa, was carrying a half-empty bottle of moonshine and was later arrested for threatening and disorderly conduct.